Even on the ones made out of stone. 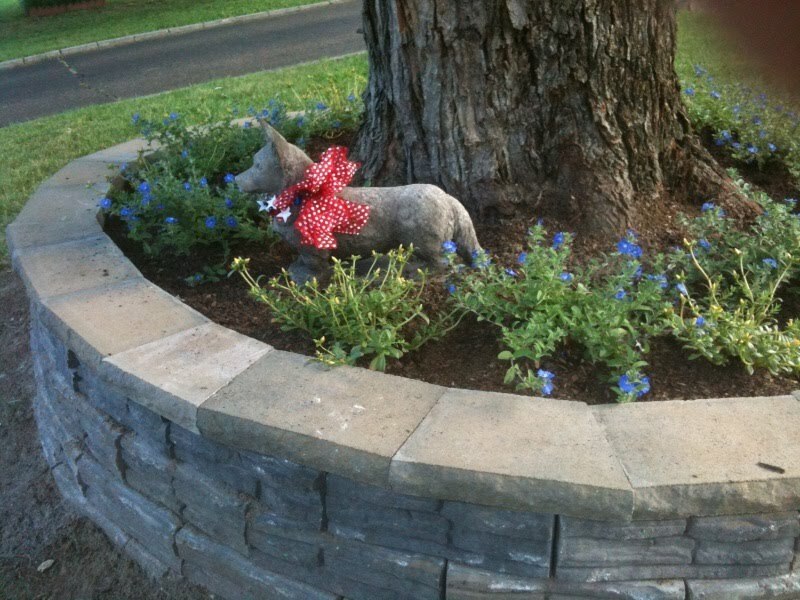 Introducing Rocky and the planter I had built just for him. I was soooooooo tempted to buy one of those at the National. Your planter looks great! I have one of those from the Nat'l too! But mine didn't get such a pretty place to live. Your planter is gorgeous!